A collection of 100 reproducible blackline worksheet and activity masters all having to do with human anatomy and physiology. 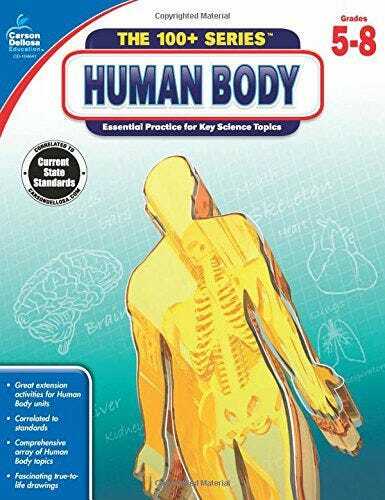 Students are asked to label various systems and parts of the body, to explain their functions, and so forth. Excellent learning aid. Includes thorough answer key. Well and tastefully illustrated in b&w.